Villajoyosa - Res. Class first line apartment. 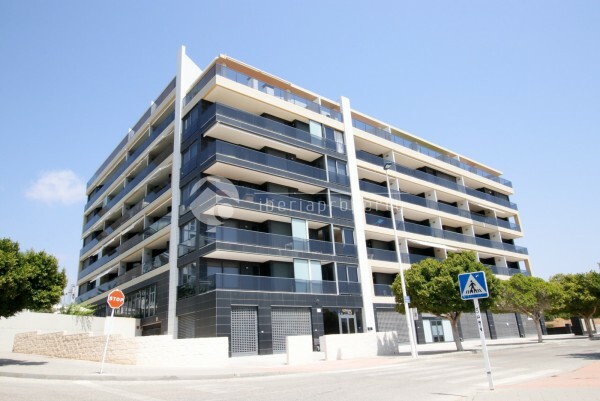 This new and modern apartment is located at the first line in Villajoyosa. The apartment has 2 bedrooms with double beds, 2 bathrooms, nice big living-room, independent kitchen and terrace with panoramic sea views. There is also a garage for parking included. The apartment has all the luxury you need, full equipped kitchen, internet, A/C hot and cold, electric blinds, electric sun screens, and much more. Everything is prepared for the perfect holidays. NO ANIMALS.